The parish Religious Education program is designed to assist parents in their role as the primary educators in faith for their children. Parishioners who volunteer as Catechists teach the youth through prayer, instruction, learning activities and example of dedicated service. 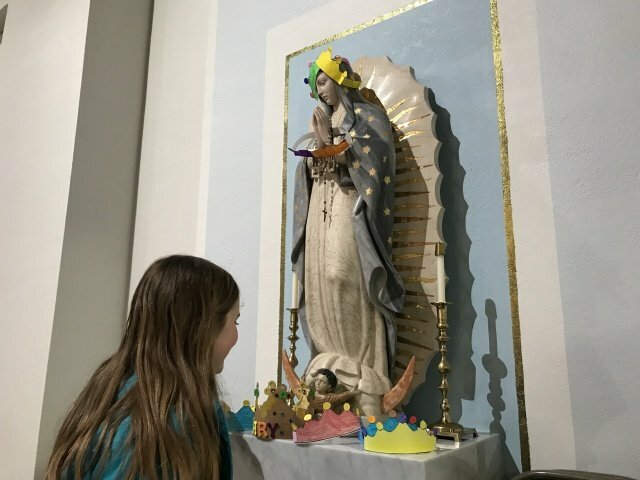 Youth are encouraged to participate in the various social and service activities held in the parish, as well as attending regular worship with their parents. The program spans Pre-School for 4 year old through 12th grade and is held on scheduled Sundays from September through April. Henninger Scholarship: scholarship fund that awards tuition to selected recipients under the terms of the Foundation. The Foundation operates with funds separate from the parish. Knights of Columbus: The Knights of Columbus have a scholarship program for high school seniors, however the download is unavailable at this time. Classes are available for Preschool (4 years old) thru 12th grade from October through April. Liturgy of the Word for Children takes place during the 10:30 Sunday Liturgy from September through April. No registration is required. The Children's Library offers numerous books and videos on the Catholic Faith. Children are welcome to check out books and videos from our library. This is open during Elementary Religious Education class time. We have many books which children will to read on the Saints, Mary, Christmas, Easter, Forgiveness, Sacraments, and many more. We also have videos available. There are also items that will be of interest to high school students and adults. 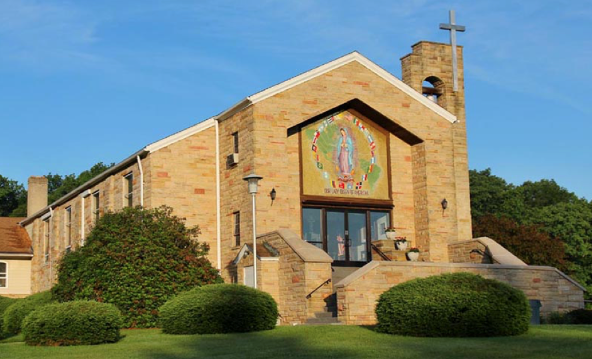 There are ongoing Faith Formation and Enrichment classes that are offered at the parish for adults seeking to deepen their ongoing understanding and appreciation of the Faith. They may consist of a scriptural study, a class in theology or spirituality held at various times throughout the year, e.g., Theology Uncorked and Lenten Bible studies. Sacramental Preparation. Parish religious formation program provides the catechesis that meet the requirements of the Diocese of Erie. Each sacramental experience is a celebration of an encounter with the God of life. In Christ, all are sons and daughters of God. Preparation for sacraments must begin by developing the awareness that sons and daughters of God can approach God to receive things needed. Each person who presents themselves for sacraments in the Church needs to be enabled to develop the proper disposition (attitudes/openness). The proper disposition changes for each sacrament but the function of any good preparation program is to help people, especially children, develop the disposition necessary for an encounter with God. For any questions regarding Sacramental questions please contact the Religious Formation Office. BAPTISM: Baptism for infants are scheduled by appointment. Parents must be registered parishioners and complete a Pre-Baptism Class. Both Godparents should be Confirmed and practicing Catholics of at least 16 years of age and present a sponsor certificate if they are from another parish. It is also possible for one of the Godparents to be a Confirmed and practicing Catholic and the other to be a baptized Christian who practices his/her faith. This will need to be verified by the pastor of the Christian Church. RECONCILIATION: Children will usually receive the First Sacrament of Reconciliation during their second grade year. Parents, as the first teachers of the faith are included in this year-long preparation program. The sacrament is usually received in the Spring. FIRST COMMUNION: Children will usually receive the First Holy Communion during their third grade year. Parents, as the first teachers of the faith are included in this year-long preparation program. The sacrament is usually received on the first Sunday in May. CONFIRMATION: Children will usually receive Confirmation during their eleventh grade year. This is a three year preparation as described by the Diocese of Erie. Students begin preparation for the Sacrament in the 9th grade and finish instruction during the 11th grade year. The Sacrament of Confirmation is administered by the Bishop during the late Spring. The students will be well informed on this process. Students grow in their knowledge of Catholic social teaching by performing service for others. Students should know that to follow Jesus requires that we learn the ways we should care for others in the world. Students will grow in their understanding of justice through service. Students should know that we must share our talents and gifts with others. Students will learn how the beatitudes help us to live justly in this world. K - 5th grades: Will perform service project under the direction of the catechists. These will include but are not limited to the participation toys for kids, food pantry collections, card and crafts for shut-in and hospitalized. Cards of encouragement for prison ministry and seminarians. 6th - 8th grades: In addition to in class activities, as above, these students are required to perform 10 hours of service; at least half in the parish. There is a documentation form that must be turned in by April 1 of each year. There are also two service days in the parish that they are required to participate. 9th - 12th grades: In addition to in class activities, as above, these students are required to perform 15 hours of service; at least half in the parish. There is a documentation form that must be turned in by April 1 of each year. There are also two service days in the parish that they are required to participate. 11th grade: In addition to in class activities, as above, these students are required to perform 20 hours of service; at least half in the parish. There is a documentation form that must be turned in by April 1 of each year. There are also two service days in the parish that they are required to participate. For more information, contact Amanda Sovisky or call the parish at (814) 382-7252.